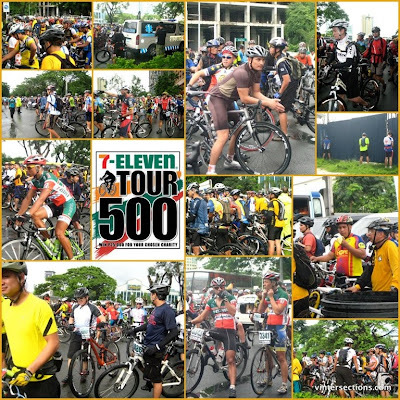 7-Eleven celebrated the opening of their 500th store with “TOUR 500,” a fun bike tour on August 8, 2010 from Alabang to Tagaytay, which benefited the winner’s chosen charity like ABS-CBN Foundation’s Bantay Bata, Firefly Brigade, Gawad Kalinga or WWF. 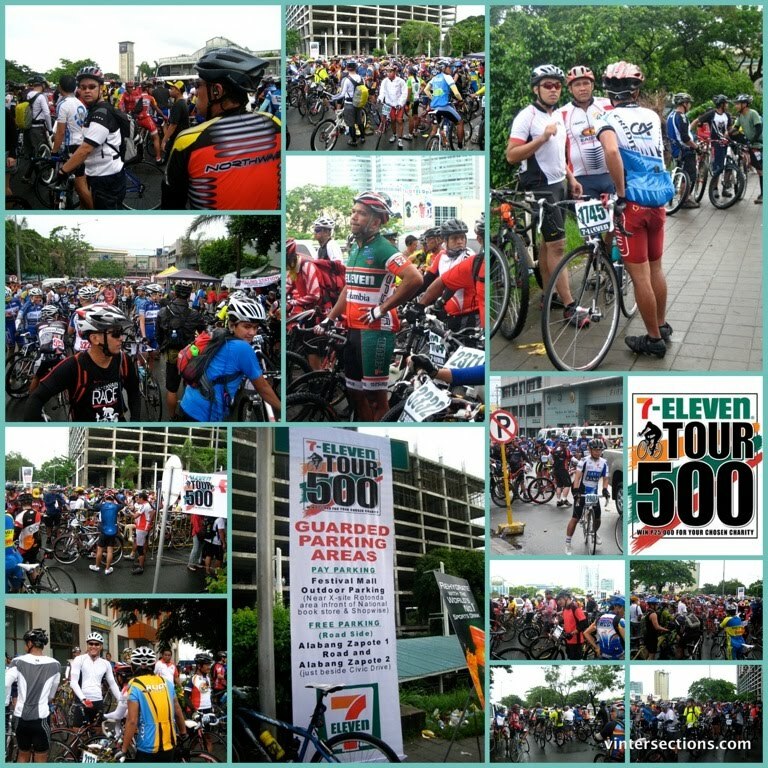 With the 500th store making them the largest convenience store chain in the Philippines, 7-Eleven wanted to give back with an event that is fun for all ages and at the same time helping others. 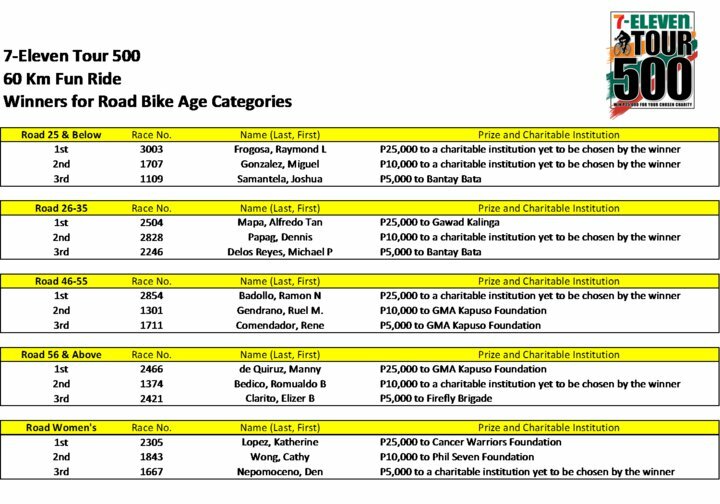 The “TOUR 500” is the biggest race in the country with 1500 participants and is intended both for those who wanted to complete their first 60km ride in a safe, supportive environment, and for those who wished to test themselves in competition. 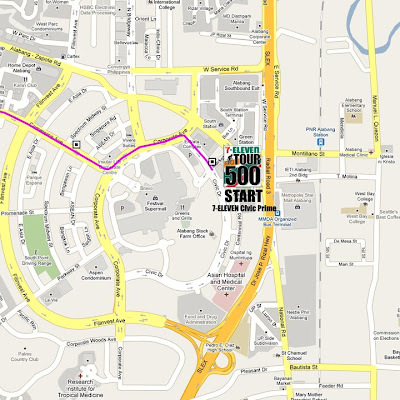 It is a 60km timed ride starting at 6:30am from the 7-Eleven Civic Prime Store, Civic Drive, Filinvest, Alabang (see map). Registration was held at all 7-ELEVEN Stores in the NCR region and partner Bike Shops [MUNTINLUPA CITY: CYCLING ZONE , GRANTRAIL CYCLES, SABAK (Sports and Adventure), LAGUNA: GREEN PLANET BIKESHOP, SABAK (Sports and Adventure)] from July 16 to August 4, 2010. 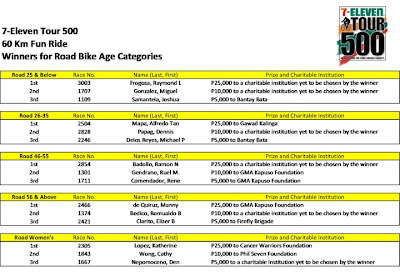 Registration Fee of Php300 includes lunch, a Race Number and a Finisher's Shirt. 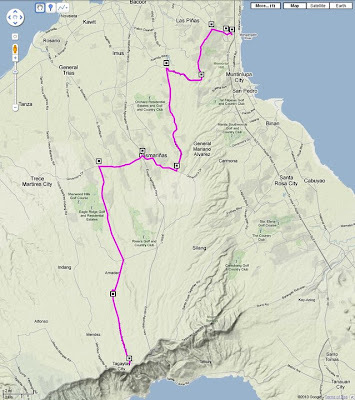 It was open for both male and female, and bikes used are road bikes or mountain bikes. 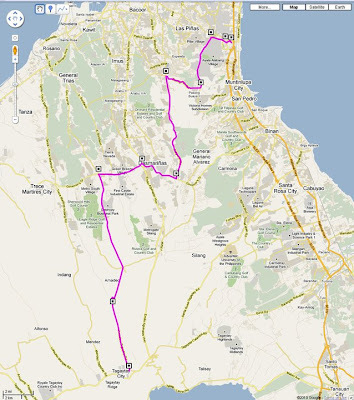 The first 37 km is a paced fun ride thru Daang Hari, Molino Drive, Paliparan Road and Governor’s Drive. 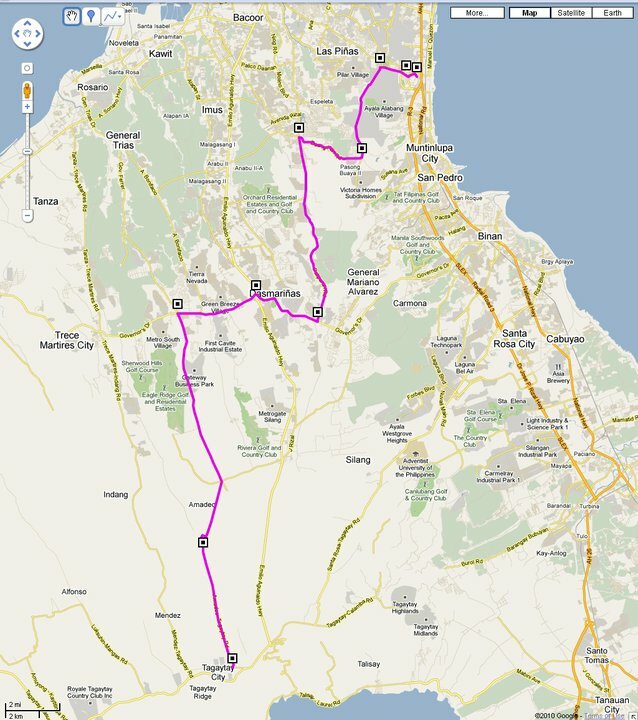 Motorcycled marshals set a 15-20 kph pace and shepherd the peloton thru intersections. The race began late at around 8:30 am (supposedly at 7:30 am) via rolling start at the marshal's signal after the peloton turned to Amadeo Road, and continued for 23 km with an average grade of 2.5%, finishing at the Tagaytay International Convention Center. 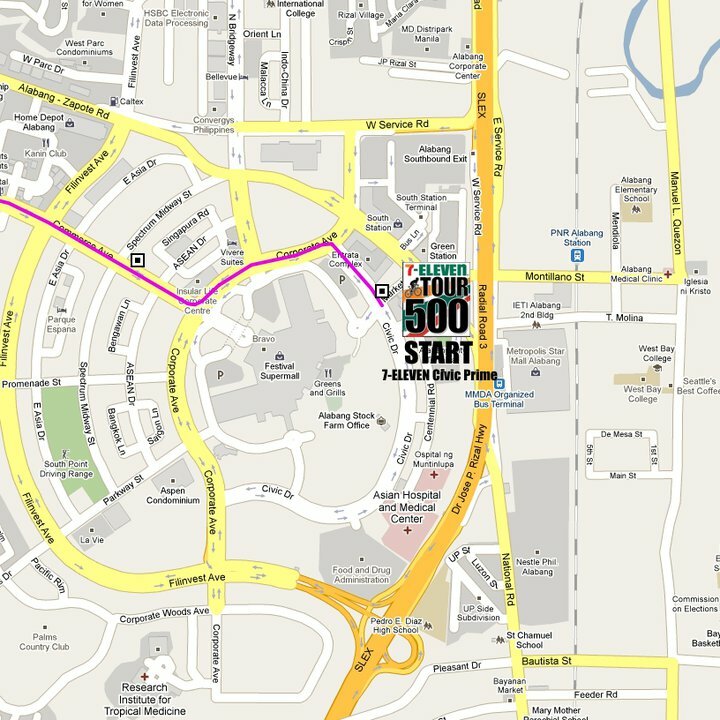 Lunch and distribution of finisher shirts, goody bags and certificates followed. 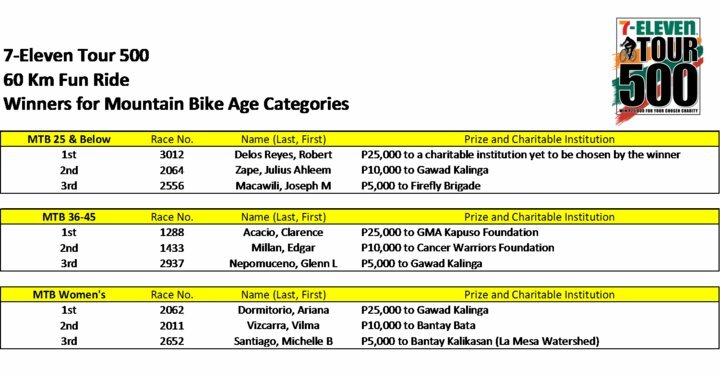 Medals were awarded to the first ten finishers per category and prizes went to the chosen charity of the participants: 1st Prize - Php25,000; 2nd Prize - Php10,000; 3rd Prize - Php5,000. 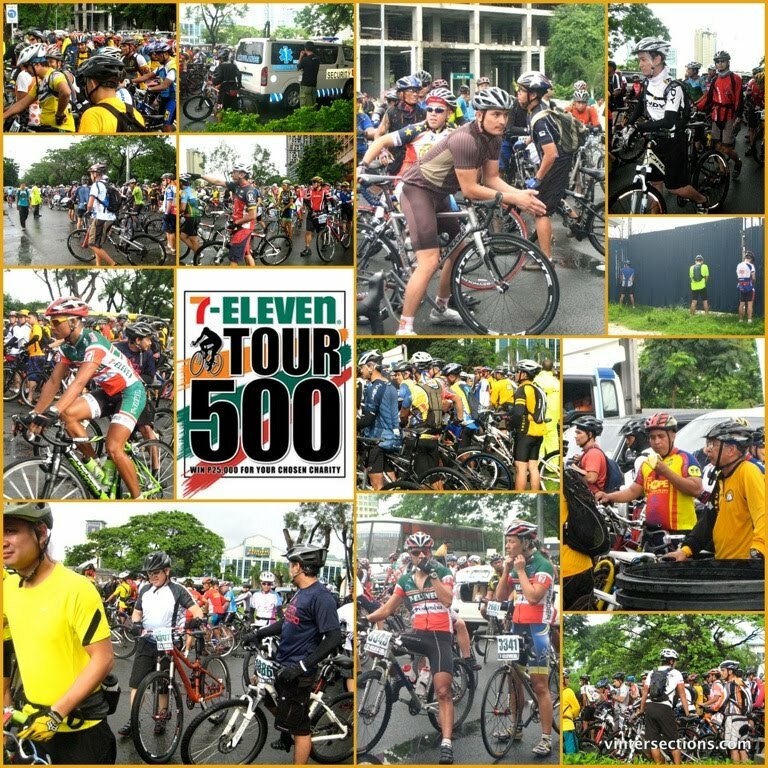 For more information on TOUR 500 and other details, you may call the 7-Eleven Customer Hotline: (632) 7241031. 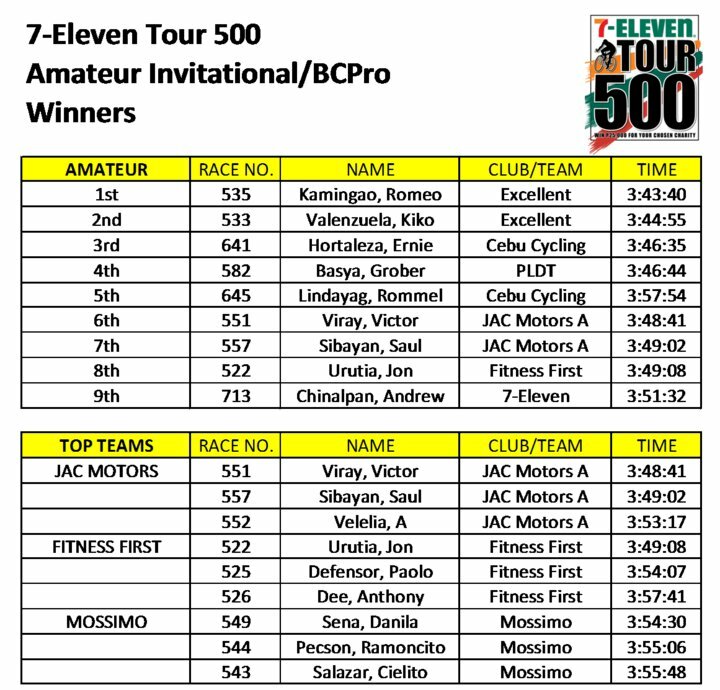 For Frequently Asked Questions, visit: www.7-Eleven.com.ph. 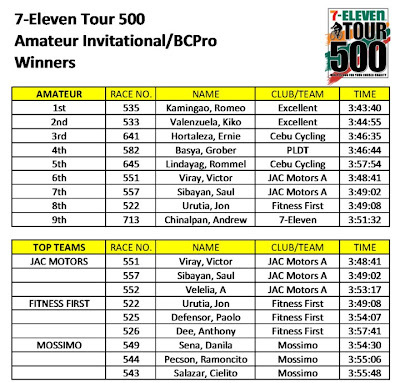 You may also log on to the 7-Eleven Philippines Facebook account at: www.facebook.com/711Philippines.